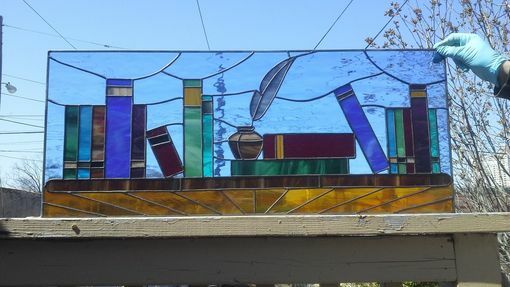 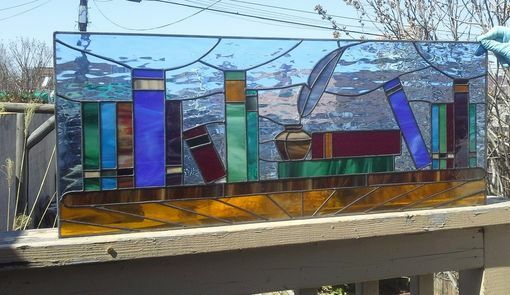 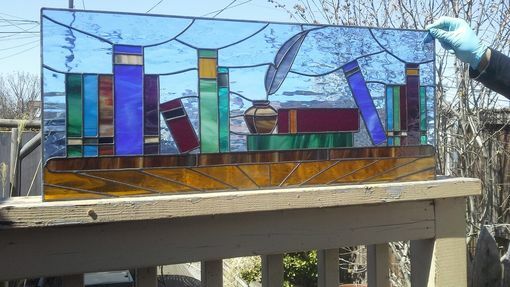 This unique piece will give our customer's front door a magic, literary touch!! 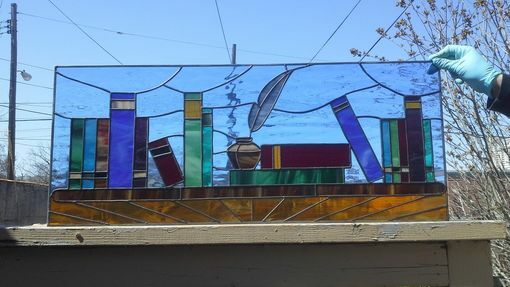 Glass: On this piece we used Pale blue waterglass for the background, honey amber opal for under the shelf and the rest is just miscellaneous colors and textures combined for the books. 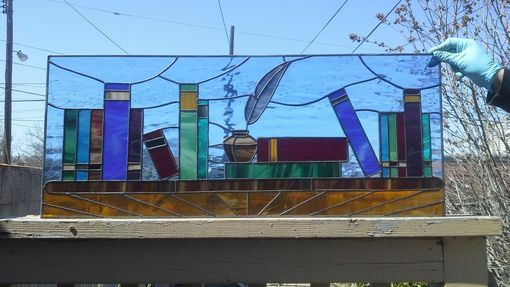 "Quality craftsmanship at a great price is tough to come by these days, especially when it comes to a custom piece of art, Terraza Stained glass is an exception!"